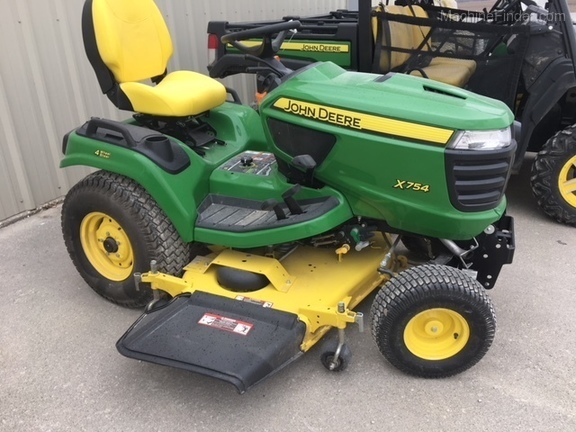 Description: 2015 JD X754, 4WS, 54HC DECK, STANDARD PTO CONNECT, 59HRS, 24HP YANMAR DIESEL, LIQUID COOLED, P/S, TILT WHEEL, DIFF LOCK, WARRANYT UNTIL SEPT 2019 / 700HRS. Description: SERVICED READY TO GO, ONE OWNER, LOOKS NEW, DIESEL, WATER COOLED, HYDROSTATIC DRIVE, ALL WHEEL STEER, 60'' AUTO CONNECT DECK, HAS WARRANTY TIL JAN 2020. 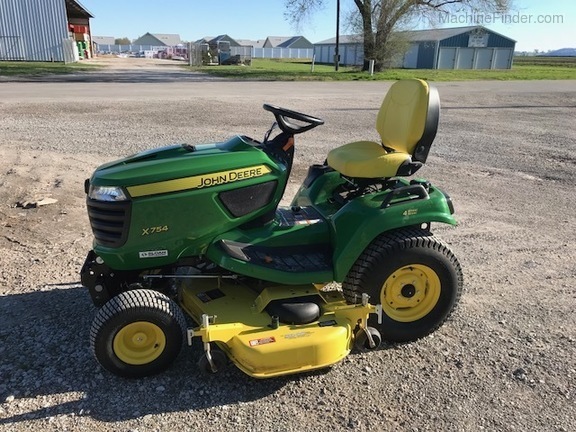 Description: 2018 JD X754, AWS, 24HP LIQUID COOLED DIESEL ENGINE, HYDRO, HYD DECK LIFT, DIFF LOCK, P/S, 60" DRIVE OVER AUTO CONNECT DECK. Description: 24HP 3CYL DIESEL, P/S, PWR DECK LIFT, WARRANTY UNTIL 16FEB22.